WebGL: Fixing "INVALID_OPERATION: drawArrays: attribs not setup correctly"
It's a pretty simple program. Given a set of 2D vertices, make them all white. Not too complicated. Given a set of 2D vertices and corresponding texture coordinates, render a textured object. The problem is rooted in the shaders. The first vertex shader only has one attribute (vertex), while the second vertex shader has two attributes (vertex and textureCoord). When switching from one program to another, the enabled attributes weren't getting switched! In other words, when I loaded shader program #1 and called enableVertexAttribArray to enable the vertex attribute, and then later when I loaded shader program #2 and called enableVertexAttribArray to enable the vertex and textureCoord attributes, the enabling of the attributes isn't bound to a specific program. Enabling an attribute is a global operation, regardless of whether or not you create or use a different program. So when using shader program #1, the textureCoord attribute was still enabled! This resulted in an error (which seems sensible). There are two ways to work around this. // With all the attributes now enabled/disabled as they need to be, let's switch! Note that the above solution assumes all your attributes are array attributes. If you have an attribute that isn't an array (i.e. it shouldn't be enabled with enableVertexAttribArray), you'll have to come up with a more robust solution. Hopefully the above at least gives you some ideas and can help point you in the right direction in your quest to come up with a valid solution. Enable all the attributes! Alright, so the whole reason we were getting this INVALID_OPERATION error comes from here (I suggest you read it and try to understand it!). The key here is in the last statement: "If a vertex attribute is enabled as an array, a buffer is bound to that attribute, but the attribute is not consumed by the current program, then regardless of the size of the bound buffer, it will not cause any error to be generated during a call to drawArrays or drawElements." This means that if your program doesn't use the attribute, it's okay to fill it with a tiny junk array (note: not null, as that has other implications), as it won't actually be used. This means you can bind a tiny junk buffer with bindBuffer and then set the superfluous attribute to that tiny junk buffer with vertexAttribPointer, and then continue on your merry way. All WebGL wants is for your enabled array attributes to be associated with some valid (non-null) array (which is why you get the INVALID_OPERATION error if they're not). If you enable all the attributes, but your program doesn't actually use an enabled attribute, WebGL doesn't care how big the array is that's associated with it (so you won't get any out-of-bounds errors). It's just happy it has an array associated with the enabled attribute. 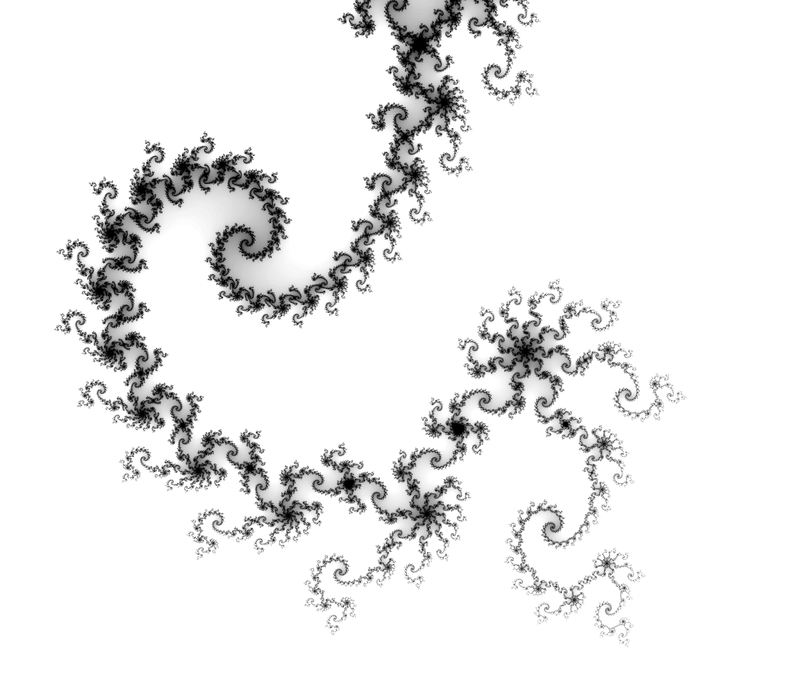 I wrote a program (years ago) in Haskell that generated the image above of the Mandelbrot set. I really like Haskell, but I haven't spent enough time with it and never really wrapped my head around monads. I'd like to dive back into it when I get the time. 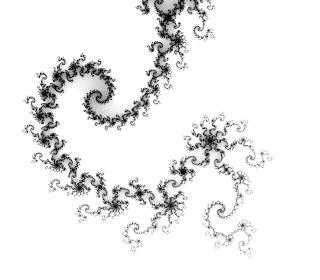 frac :: Complex Double -> Complex Double -> Int -> Char -- The actual fractal algorithm! 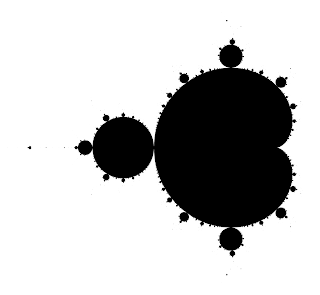 The Mandelbrot set in pure black and white; only pixels considered "inside" the set are black. A Julia set based on (0.285, -0.01i). I actually edited the brightness/contrast in post-processing on this one to really bring out the spirals. 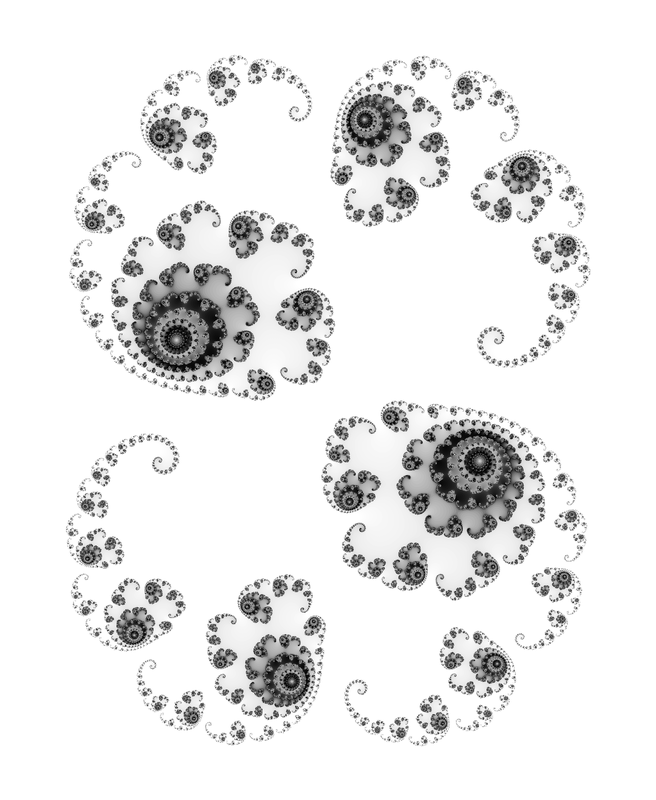 A zoomed in portion of the Mandelbrot set. I edited this one's brightness/contrast settings in post processing to bring out some of the little details.